Major League Baseball (MLB) announced on Feb. 7, 2019, that Hall of Famer Frank Robinson and the first MLB black manager died at his home in California. The Baltimore Sun reported Robinson suffered from a long illness and was in hospice care. He was 83 years old. Robinson spent 21 seasons in MLB, primarily with the Cincinnati Reds and Baltimore Orioles. Signing with the Reds in 1953, he faced death threats and racial taunts. When he was 20 years old, he hit a rookie record of 38 home runs and won the National League Rookie of the Year. With 586 Home Runs, he is tenth on the all-time home run list. Robinson also appeared in 14 All-Star games. To this day, Robinson is the only player to have won the MVP award in both the National and American Leagues. In 1961 he won the National League MVP with the Cincinnati Reds and in 1966 the American League MVP with the Baltimore Orioles. While still an active player, in 1974, the Cleveland Indians made him the first MLB black manager. Robinson would manage the Sam Fransico Giants, which made him the first black manager in the National League. He also managed the Montreal Expos and Baltimore Orioles. 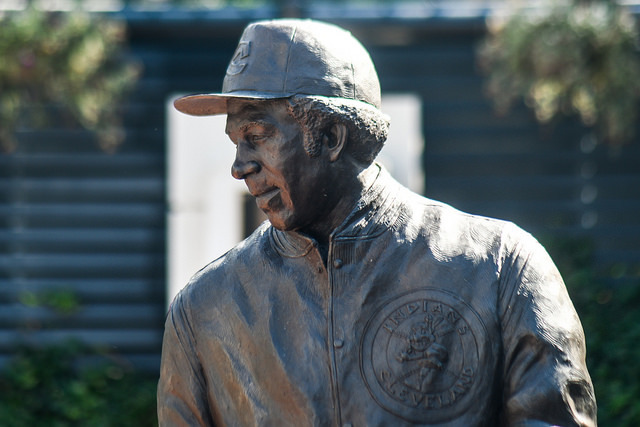 In 1982, Robinson was inducted into the baseball Hall of Fame on the first ballot. He spent more than 50 years in MLB, and recently he was the senior vice president for Major League Baseball. Robinson leaves behind his wife Barbara Anne and children Nichelle and Frank Kevin. Funeral arrangements have not been announced. One Response to "Frank Robinson, Hall of Famer and First Black Manager, Dies at 83"